Thinking about Spring, Easter & Passover? 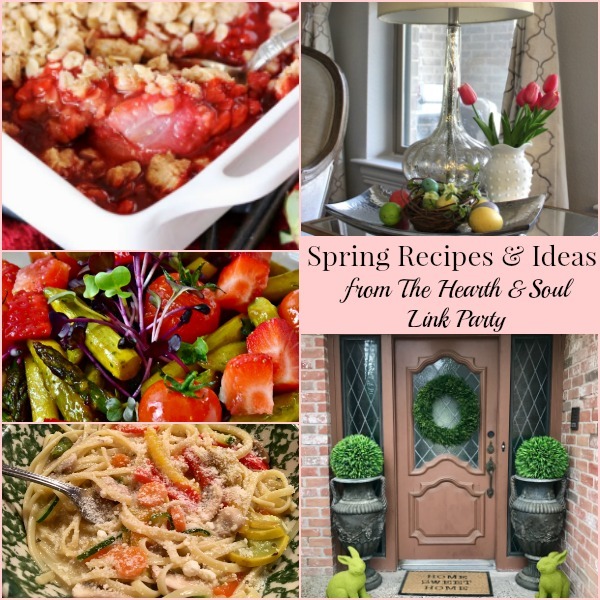 Welcome to The Hearth and Soul Link Party, where this week I’m featuring Spring Recipes and Ideas! Spring is definitely here in the UK and I’m loving every minute of it! 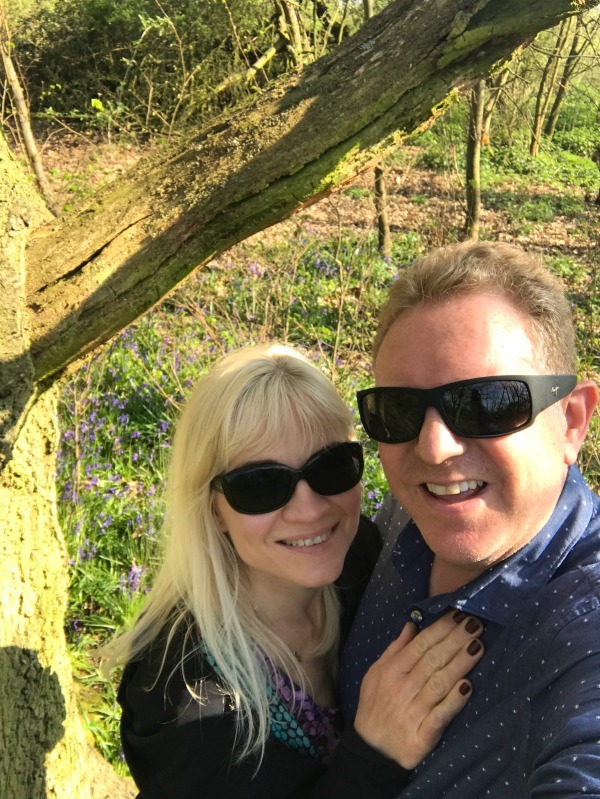 My husband and I have been walking for miles in the beautiful woods near our home, which are full of bluebells. These are ancient woods, and the bluebells have been blooming here since the days of the Tudors and before. 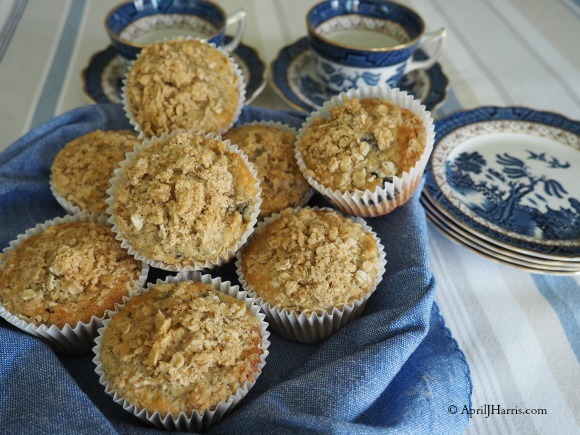 My wholesome Blueberry Chia Muffins with Lemon and Ginger have a crunchy streusel topping that makes them perfect for breakfast and beyond. 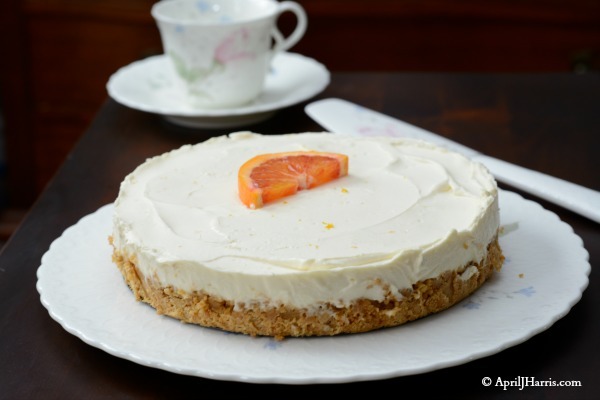 And for a real treat that couldn’t be easier to make – try my No Bake Orange Cheesecake. The work of mere moments, it also makes a fantastic Easter dessert. And please don’t miss my latest Travel Posts! Thank you to everyone who visited and shared last week. I love that we have such a friendly community and that everyone is so good at visiting and sharing others’ posts. Thank you so much! and finally, the wonderful post from A Mama’s Story – Homemaking as a Social Art. It’s time to share! I’m trying something new this week, with posts appearing in random order. Please let me know what you think! Thanks so much for the feature. I am very flattered to be included! As every week, is a pleasure to be invited to this party. I add a traditional recipe, this time, an Easter Mona de Pascua and also, lots of happy memories. Have a nice Easter holidays! Thank you so much, Marisa! I look forward to your recipe and post. Wishing you lovely Easter holidays too! Thank you for hosting the party each week and for featuring My Asparagus & Strawberry Salad. Wishing you a beautiful Easter! Wishing you and your family a peaceful Easter season and thanks so much for the awesome party every week! Thank you for hosting! I have to try the no bake orange cheesecake, it looks so good. Thanks so much for the great link up, April! Join me at the Over the Moon Link Party from Sunday evening through Thursday evening every week. We pin every link shared and you can share 3! You might even be chosen as one of our Featured Bloggers. I look forward to partying with you. Have a wonderful Easter, April! Thank you, Helen. Happy Easter to you and your family too! Thank you, Pam. You too 🙂 Happy Easter! How fortunate that you and your husband live so near those great woods! Have a great week April and thanks for hosting. We really are grateful, Jaxx 🙂 It’s a lovely part of the world. Hope you have a great week too! Thank you so much 🙂 Happy Easter! 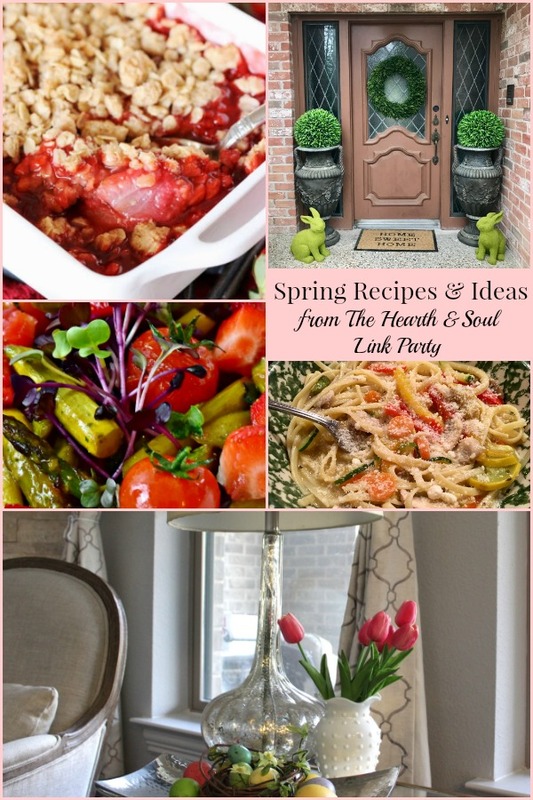 Hi April, Spring recipes are so cool. You look gorgeous in the pic. April, your muffins look perfect! And I can’t wait to read your Ritz post. Thank you for hosting. Thank you so much, Jean. I hope you enjoy the Ritz post!